Nathan Bedford Forrest (1821-1877) was a Confederate general during the Civil War (1861-65). Despite having no formal military training, Forrest rose from the rank of private to lieutenant general, serving as a cavalry officer at numerous engagements including the Battles of Shiloh, Chickamauga, Brice’s Crossroads and Second Franklin. Known for his maxim “get there first with the most men,” Forrest was relentless in harassing Union forces during the Vicksburg Campaign in 1862 and 1863, and conducted successful raiding operations on federal supplies and communication lines throughout the war. 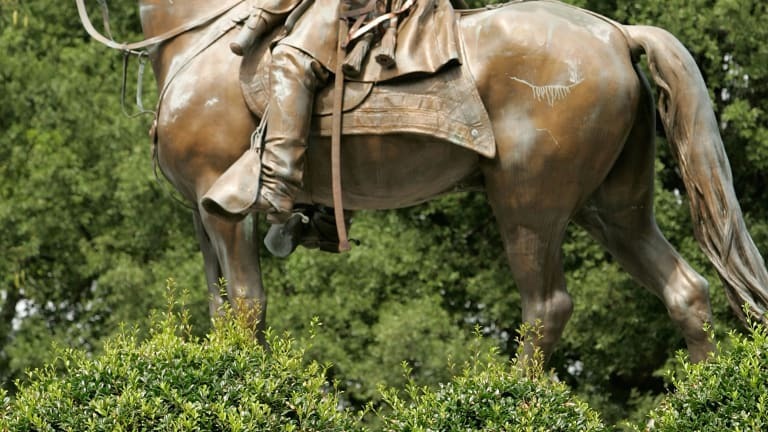 In addition to his ingenious cavalry tactics, Forrest is also remembered for his controversial involvement in the Battle of Fort Pillow in April 1864, when his troops massacred black soldiers following a Union surrender. After the Civil War Forrest worked as a planter and railroad president, and served as the first grand wizard of the Ku Klux Klan. He died in 1877 at the age of 56. Nathan Bedford Forrest was born in Chapel Hill, Tennessee, on July 13, 1821. He grew up poor and received almost no formal education before going into business with his uncle Jonathan Forrest in Hernando, Mississippi. In 1845 his uncle was killed in a street fight started over a business dispute, and Forrest responded by killing two of the murderers using a pistol and bowie knife. Forrest married Mary Ann Montgomery, a member of a prominent Tennessee family, that same year. The couple would later have two children. Did you know? 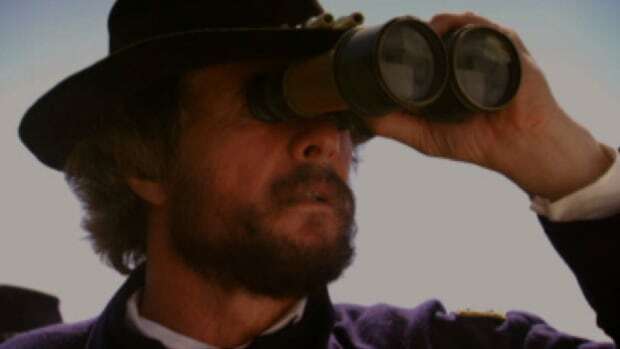 Known as the “Wizard of the Saddle” for his ingenious use of cavalry forces during the Civil War, Confederate General Nathan Bedford Forrest rose from the rank of private to lieutenant general despite having no previous military training. Forrest eventually found success as a planter and owner of a stagecoach company. In 1852 he moved his young family to Memphis, Tennessee, where he amassed a small fortune working as a slave trader. His business continued to grow throughout the 1850s, and in 1858 he was elected a Memphis alderman. By 1860 Forrest owned two cotton plantations and had established himself among the wealthiest men in Tennessee. Following the start of the Civil War (1861-65), Forrest enlisted as a private in the Tennessee Mounted Rifles and helped equip the unit using his own money. He soon earned a promotion to lieutenant colonel and was placed in charge of raising and training his own battalion of 650 mounted troopers. Forrest would win his first engagement later that year, when he led a surprise attack on a complement of 500 Union troops near Sacramento, Kentucky. Forrest’s injury would keep him away from the field until June 1862. A month later he led a raiding mission into Tennessee, where he captured a Union garrison at Murfreesboro. Promoted to brigadier general, Forrest next participated in cavalry operations near the vital Mississippi River hub at Vicksburg, Tennessee, which was under siege by Ulysses S. Grant. 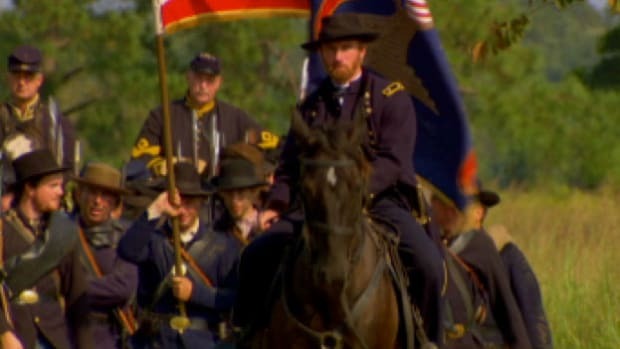 Throughout late 1862 and early 1863, Forrest’s cavalry relentlessly harassed Grant’s forces, frequently cutting off communication lines and raiding stores of supplies as far north as Kentucky. Careful to never engage the superior Union numbers in outright combat, Forrest instead relied on guerilla tactics designed to frustrate and exhaust his pursuers. 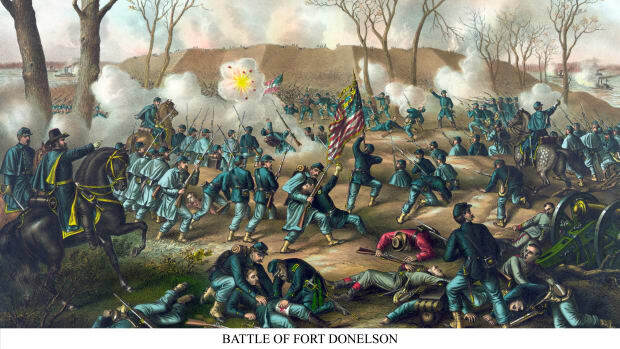 Forrest was engaged throughout early 1863 in operations near Fort Donelson and at the Battle of Thompson’s Station. In May 1863 he successfully cornered Union cavalry commanded by Colonel Abel Streight near Cedar Bluff, Alabama. 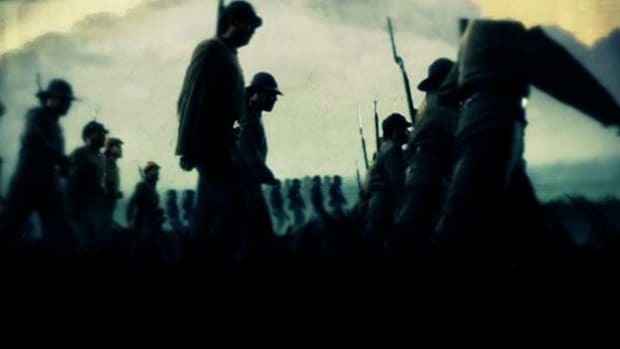 Recognizing that Streight held a substantially larger force, Forrest led his troopers around the same hilltop multiple times in order to give the appearance of larger numbers. He then bluffed Streight into surrendering his 1,500 Union cavalry before revealing he had less than a third as many men. Forrest was prominent during the Battle of Chickamauga in September 1863, in which part of his cavalry dismounted and fought alongside infantrymen on the Confederate right flank. He was then instrumental in pursuing the retreating Union army. After the battle Forrest openly criticized General Braxton Bragg, who he believed had failed to capitalize on the Confederate victory. Frustrated with his commanding officer, Forrest requested a new assignment, and in October 1863 he was placed in independent command in Mississippi. Promoted to major general in December 1863, Forrest fought a series of small engagements in Tennessee before defeating a much larger Union force at the Battle of Okolona in February 1864. Forrest’s most controversial action as a field commander would come in April 1864 at the Battle of Fort Pillow in Tennessee. After capturing the federal garrison by force, Forrest’s men reportedly killed over 200 Union soldiers, many of them black troops who had formerly been slaves. 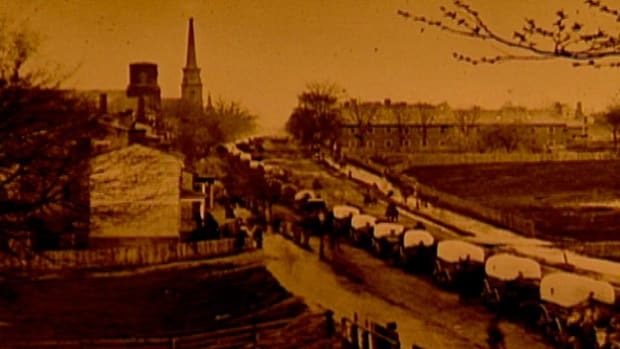 While Forrest and his men would claim the fort’s occupants had resisted, survivors of what became known as the “Fort Pillow Massacre” argued that Forrest’s men had ignored their surrender and murdered dozens of unarmed troops. The Joint Committee on the Conduct of War would later investigate the incident and agree that Forrest’s men had committed an unjust slaughter. His reputation stained by the events at Fort Pillow, Forrest went on to achieve a stunning victory in June 1864 at the Battle of Brice’s Crossroads. After leading nearly 8,500 Union troops on an exhausting chase, Forrest counterattacked with 3,500 men near Baldwyn, Mississippi, destroying the Union force and claiming valuable supplies and arms. 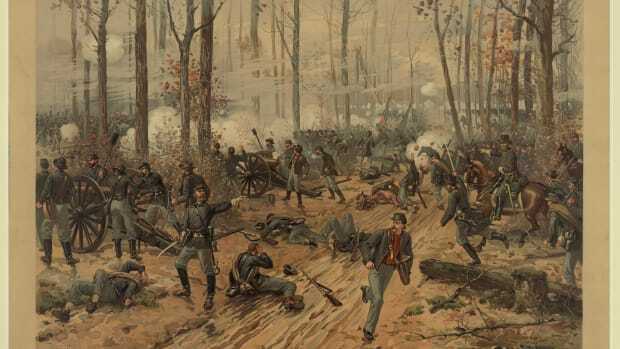 Forrest then suffered a defeat at the hands of William T. Sherman’s forces at the Battle of Tupelo in July 1864. He would respond with raids against Memphis and Johnsonville, Tennessee, before linking up with forces under General John Bell Hood in November 1864. Forrest participated in the Confederate defeat at the Second Battle of Franklin before suffering another loss at the Third Battle of Murfreesboro in December. After Hood’s beleaguered Army of Tennessee was routed at the Battle of Nashville, Forrest led rearguard operations during the retreat into Mississippi. 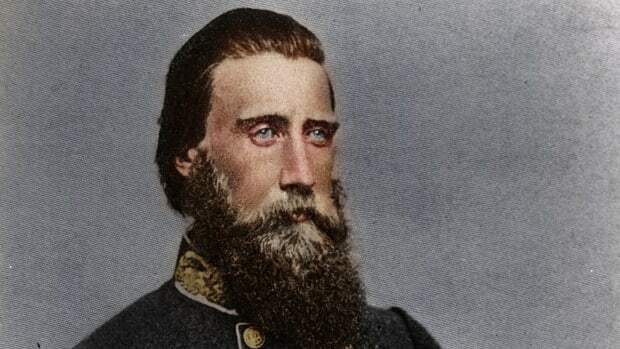 Promoted to lieutenant general in February 1865, Forrest would oppose Union General James H. Wilson during his raid into the Deep South but was defeated at the Battle of Selma in April 1865. He then disbanded his weakened force in May 1865 following the surrender of the Confederacy’s major armies. Forrest returned to Tennessee after the Civil War and entered private business. In the years following the conflict he would work as a lumber merchant, planter and president of the Selma, Marion and Memphis Railroad. In the late 1860s Forrest began an association with the newly formed Ku Klux Klan, a secret society that terrorized blacks and opposed Reconstruction efforts. Forrest is believed to have served as the Klan’s first grand wizard upon its formation in 1866, though he would later deny any association with the group when called before the Joint Congressional Committee in 1871. Forrest’s financial situation later became desperate following the failure of his railroad business in 1874. Forced to sell off many of his assets, he spent his later years overseeing a prison labor camp near Memphis. He died in 1877 at the age of 56.